Nicely balanced. A good mix of deep flavors with mild acidity. The nutty notes in the scent and flavor are wonderful. too bold for our tastes! 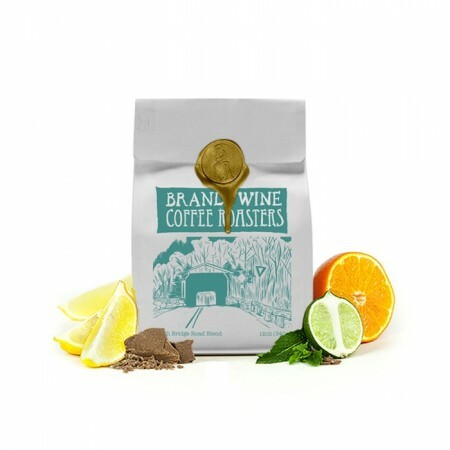 Agree with previous reviewer, Brandywine has some excellent coffees but this one is a dark roast. Mistobox, please update your description. This is listed as "medium-light" but arrives with a "dark roast" label and behaves as the latter. The worst coffee I've had on Mistobox. I was raving about Brandywine to friends and now I feel duped, knowing they have this in their lineup. The roast is so dark, that to my unsophisticated palate, it may as well be Starbucks. I can't taste any flavor other than char. I requested medium roast. Medium to medium light are ok. I would not like any more dark roast selections please. It was a really dark roast. I was only able to drink a cup a day, as it would destroy my stomach if I had two. Also, strangely, I'd get headaches. Other coffees have been great and you've done a good job picking them out. I was a little worried when I saw that the bag said it was a dark roast. I don't know that I would classify it as a dark roast, but it is still darker than I generally prefer. I've enjoyed it more than I expected to, but I probably wouldn't go out of my way to get it again. The bag says "dark roast" on it which worried me because I'm not dark roast-loving, but the roast level was actually medium. Tastes sour to me - which I hate. I also miss the strong coffee smell. Excellent coffee! This was my first coffee from MB and it was a great choice. It made a very smooth, flavorful cup of coffee, just the way I like my coffee!